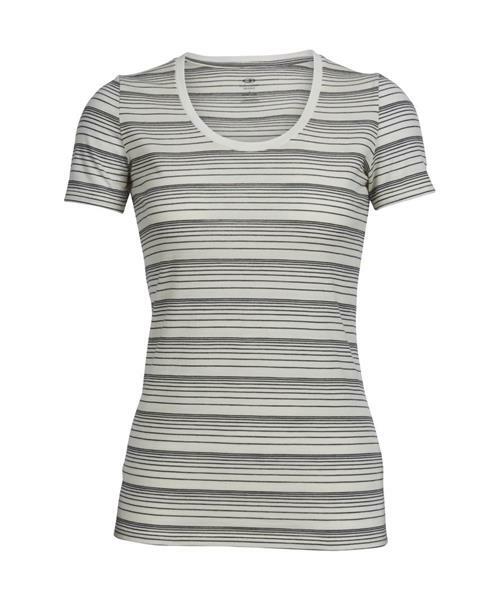 Icebreaker's highly breathable, comfortable, do-it-all merino wool T-shirt with a scoop-neck design, the Tech Lite Short Sleeve Scoop is a go-to top for four seasons worth of trails, travels, and active pursuits. With capabilities as varied as the adventures you’ll take it on, the Tech Lite features their 150gm jersey corespun fabric, which uses nylon fibers wrapped in merino wool to provide added strength and durability while maintaining next-to-skin softness. Offset shoulder seams and forward-set side seams make for chafe free comfort when you’re traveling or hiking with a pack.